I guess This was the only appreciation thread that this thread still didn't have but How can I deny it? 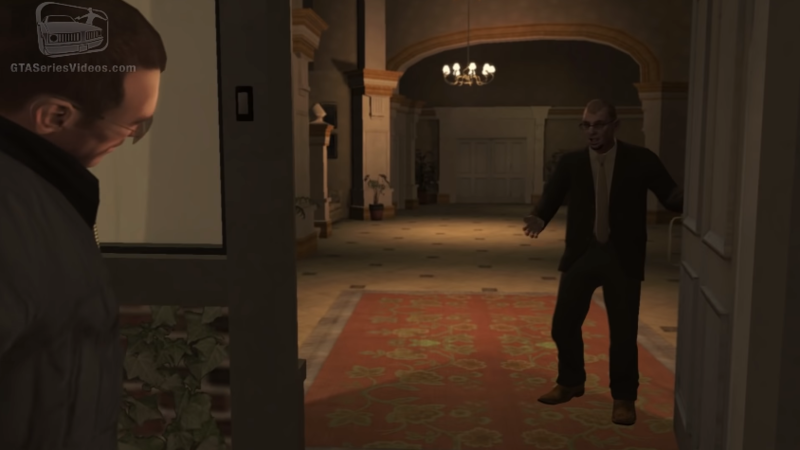 GTA IV had problems but those shoes really made them unnoticeable.10/10. R* really outdid themselves this time. On the serious note,yes they are awesome. Now I understand why the game is so unoptimized, having those gorgeus shoes in the files surely hits performances, even a SLi of RTX 2080Ti + 128GB RAM + i9 9900K can't handle them... BUT THEY'RE WORTH IT! God I was waiting for a fellow member to share their appreciation for Dimitri's shoes. I feel like they are so underrated. You see people always trying to talk about how they want Realistic Steak in the games, and I just wanna see a Dimitri shoes skin. But no one could wear them better then Dimitri. We should just do an appreciation series for every piece of clothing for every character. For example Bernie's tracksuit he wears during "Hating The Haters" is a thing of beauty. But yes Dimitri's shoes are the bomb. If you look closely you can even see the way they glisten. Dimitri's shoes are insulted and offended that you prefer that yokels shoes. He did walk in from 1985. We should just do an appreciation series for every piece of clothing for every character. Remember that night when all those appreciation threads popped up? I miss the Liberty City water appreciation thread good times. This reminds me of that time around 2010 when I spent like a sh*tload of time taking screenshots of EVERY SINGLE clothing piece Niko can wear for the Spanish GTA wiki. Now I think about it and I wonder why I did it, as nobody really cared. Around that time my brother was obsessed with those open suits that you cannot get on the PC version. We need that Appreciation Thread for that Internet cafe lady in Broker. Since we're at the topic of clothes, I like Bledar's tracksuit. Johnny K's leather jacket is also awesome, and so are Dave Grossman's leather pants. I'd deffo get hold of some just to finish off the classic 50's biker look. 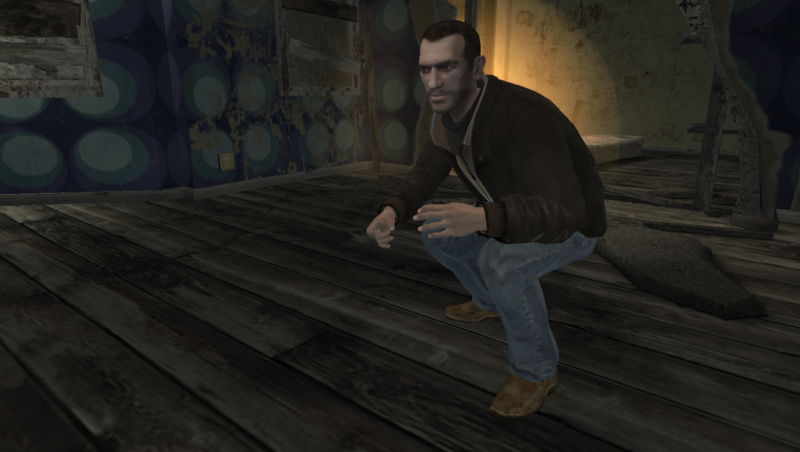 Can someone make mod for GTA IV where Niko can wear Dimitri's shoes? The game is literally unplayable for me now, unless Niko can wear them too. Hope you don't get wet dreams. No Dimitri's shoes for you. Yeah I think I will, I'll just put on a few more textures and they're ready to ship I'm guessing. Eh screw it, I guess I can just port Dimitri's shirt too. The pants can be just retextures. Dimitri's shoes had a very long day. Man of the year 2008 - Dimitri's shoes.